As beautiful as it is living in Little Rock, there are times when it can be tumultuous for property owners when hurricanes, storms, blizzards, and floods create damages to homes and businesses in the community. When severe weather systems like these impact Little Rock, the water damage created can turn into an emergency situation that requires immediate water damage restoration services. Fortunately, 911 Restoration of Central Arkansas is available 24/7/365, making it possible for you to reach out to their staff members the moment floodwater, sewage or heavy leaks invade your property. Within 45 minutes of learning about your water emergency, technicians will be at your door, fully prepared to begin flood cleanup services. By implementing fast water damage restoration, the Little Rock team will prevent the need for mold removal and limit any structural damage. The Little Rock experts also act fast for non-urgent situations, such as mold removal and fire restoration. 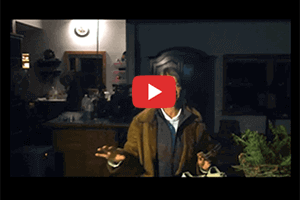 It is important to us that you get the restoration help you need as soon as you can after the incident has occurred, both for your safety and for the sake of the property. If you have any hesitations about working with the water damage restoration professionals you can put them aside, because we provide free visual inspections for property owners. This way you will know exactly what you are getting into before any work begins. 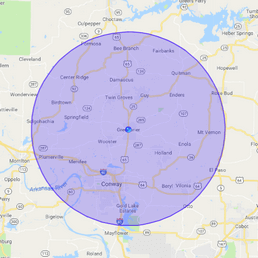 911 Restoration of Central Arkansas is locally owned and operated, so you can trust that their repair workers genuinely care and understand your needs. So, call the highly trained technicians in Little Rock today and we will provide you with the peace of mind you deserve. Property owners may need expert water damage restoration when storms create floods and leaks in their home or business, but there may be other internal issues that can lead you to need our restoration services. Pipe bursts can cause basement floods and sewage overflows can require emergency water removal, all services that the water damage restoration team is prepared to implement on a moment’s notice. Water damage can be some of the most devastating burdens to a property owner in the United States. Although it’s considered a major disaster, it can start through a variety of ways. For example, did you know, water that has a high content of magnesium and calcium can be very harmful to pipes? These elements slow the flow of water down which leads to corrosion. Eventually, holes start to form and you end up with a burst pipe. In these winter months, colder temperatures can also lead to disasters in your home or business. Freezing temperatures can potentially cause you to have frozen pipes. If your pipe lines are not well maintained, the moisture from the water in a frozen pipe will expand and create a pipe burst. Once this happens the floodgates are open. 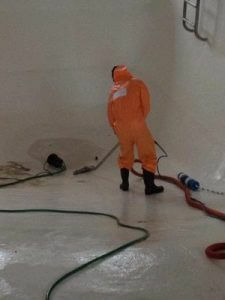 Flooding brings immediate damage to your residence or business and create health problems such as mold infestation. In addition, the longer a flooded basement or a flooded house is left ignored, the more damage it causes to the property. There may be other instances where rainwater leaked into your house, causing a house flood. The Little Rock unit will arrive quickly and begin emergency water damage restoration, turning your property back into a clean, dry home again. The water damage restoration team is trained to provide leak and flood repair work to both residential and commercial properties, so give us a call the moment you discover any signs of water damage in your property. 911 Restoration of Central Arkansas consider sewage overflows to be a candidate for emergency water damage restoration. So, when sewage or black water invade your home or business, you can literally call us any time, day or night. 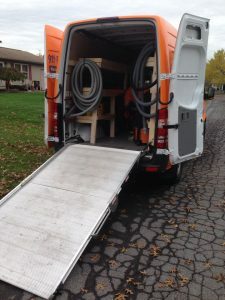 Sewer flood cleanup jobs are one of our specialties and the Little Rock experts treat them with the same urgency as any other water damage restoration job. The 45-minute guarantee still applies in these situations, so when you hire us you can confidently know that fast help is on the way. Call the water damage restoration crew in Little Rock when sewage has overflowed into your home or business and before you know it your property will be fresh and clean again! Natural disasters can take a toll on a community, destroying homes and businesses within mere hours with torrential rains, powerful winds, and flooding waters. The disaster restoration unit is qualified to repair damage caused by any type of disaster, natural or man-made. We understand the urgency of situations involving disaster damage, especially when a severe weather pattern comes through town. Blizzards can have a disastrous effect on a structure, especially when wet snow piles up on roofs, tree branches, and power lines. The heavy snow can cave in a roof, letting snow inside and causing extensive water damage. This amount of snow can also break tree branches and down power lines, not only causing property damage but creating dangerous conditions for pedestrians. Hurricanes are another natural disaster that as the potential to wreak havoc on a property. The amount of rain caused by these storms can cause flood damage and even affect the structural integrity of the property. Call us the moment your property is affected by a disaster and the specialists in Little Rock will provide the water damage repair, fire restoration, mold removal, and sewage cleanup needed to completely fix up your home or business to look better than ever! Property fires can leave a home or business completely devastated, especially at the rate at which they can move through a property. Within five minutes an entire home can become engulfed, leaving ash, soot, and smoke damage in its wake. After the flames have been extinguished the real work begins, and the fire restoration unit in Little Rock are proficient in conducting all aspects of fire and smoke cleanup. Fires tend to create foul smoke odors that permeate the entire property, but the fire restoration team can easily remove this smell and leave your home or business smelling fresh. Water damage restoration is another major aspect of fire restoration. The fire hoses spray tons of water in a burning property, usually causing a massive property flood on top of all the fire damage. The fire restoration team is trained to extract all the floodwater and completely dry the area. 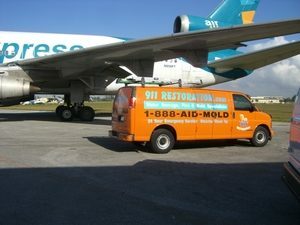 They will also implement mold removal services if the water damage has started to create an infestation. 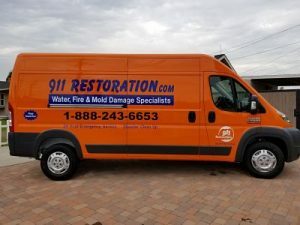 When you need expert fire restoration services call 911 Restoration of Central Arkansas and they will administer everything from smoke stain cleanup to water removal. When it comes to administering proper mold removal it is important to use the correct equipment and gear to clean up the substance and thoroughly dry the entire premises. Mold thrives in damp, dark, warm spaces, such as inside of walls, basements, attics, and crawlspaces. The problem with this is that these are not areas of the property that are commonly seen by the property owner, which gives the mold time to infest the space. Fungi and mold can begin to grow within 24-48 hours of being exposed to water. So, if there is a leak, even if it is slow, it can lead to a mold infestation within a few days. The mold removal professionals in Little Rock provide comprehensive services that deal with the water damage, as well as the mold growth. This is important since water damage is one of the leading causes of mold infestations. 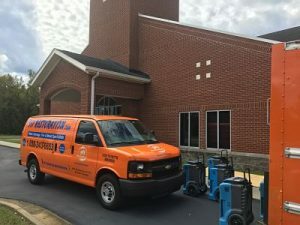 By keeping the property dry and free of all water damage, then most property owners may be able to avoid the need for future mold removal services. Whether you live in Conway or Little Rock, our technicians at can help give you tips on preventative maintenance when they are at your property. Call the mold removal team when you need fast and thorough mold and mildew cleanup services and before you know it your property will be a healthy, clean environment again. Owning a commercial property of any kind requires a lot of work. Whether you own a restaurant, retail space, boutique store, or warehouse, you need pay attention to all the details of the property in order to avoid water damage, mold, and other issues. If you are not able to physically be at your commercial property then small issues can pop up without you knowing until they develop into a larger problem. This frequently occurs with water damage and mold infestations. A minimal pipe leak can grow mold inside of a wall within 24-48 hours, causing a full-blown infestation within a matter of days. 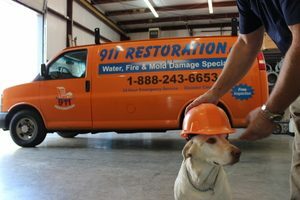 This is why it is so important to rely on the water damage restoration services of 911 Restoration of Central Arkansas. 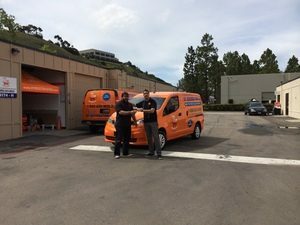 Their reliable technicians are always ready to spring into action when it comes to mitigating water damage, which will help prevent mold and structural issues. The Conway experts can provide you with all the commercial restoration services you may need, whether it be water damage, mold, sewage, or fire damage. So, call us when you need assistance and we will get your business back up and running as soon as possible.